What’s cooler than being able to hit a target at a thousand yards? Firearms, as a hobby, are not cheap. Precision shooting, even more so. If you want quality equipment–you better be ready for some wallet hurt. But most of us don’t need the “best,” especially when we’re just getting a toe wet in the sport. What we need is awesome and affordable. MDT heard our wallet’s anguished cries and responded with the Oryx Complete Chassis! We’re excited to get our hands on one of these awesome chassis and let you know just what we think about it. 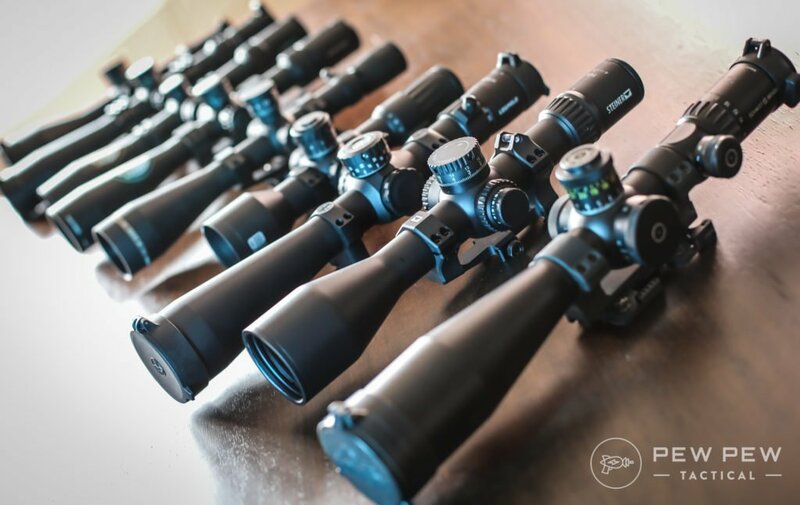 If you’re into precision long range shooting, then you already know who MDT is–but if you’re not into the sport, then you should know that MDT is growing in the space at a huge rate. Their pro shooters are winning competitions and their chassis are winning the hearts of shooters the world over. Long-range shooting is where you’ll find the supercars of the shooting world. And that is really not cheap. My favorite MDT chassis (and the chassis all of the MDT professional shooters use) is the ACC Chassis system and starts at a cool $1,000… just for the chassis. You still need an action, barrel, brake, scope, and more before you’re ready to take the field (yes, Slickguns Review of the ACC is coming soon!). This high bar of entry is what keeps most people out of precision shooting, Ruger has made it easier with their Ruger Precision Rifle–but it still isn’t cheap at all. MDT is working to solve this with the Oryx Chassis. A budget-minded chassis in a no expense spared kind of sport, the Oryx delivers on the core needs of a new long-range shooter while trimming cost by cutting down on the features that you can honestly live without until you grow as a shooter. Clearly, the main target is shooters that are new to long-range precision–but they aren’t the only ones that should be interested in the Oryx. If you’re looking to build a training rifle or looking to try out a new caliber or action, the Oryx provides a much easier way of exploring options while still giving you the outstanding benefits of a great chassis. 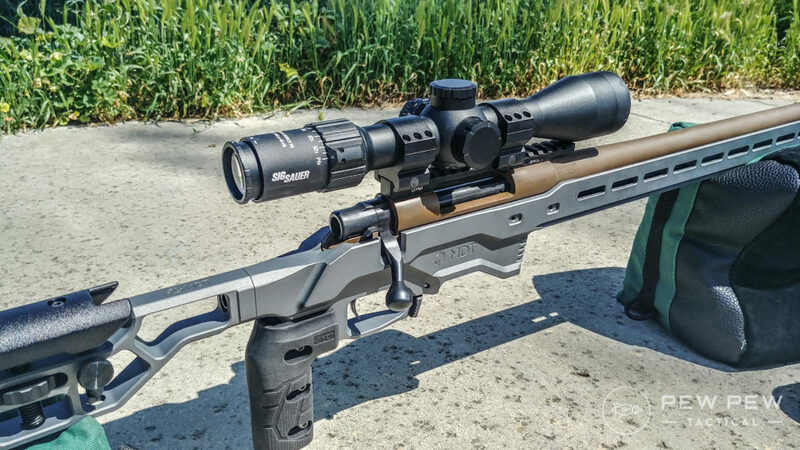 Finally, if you’re looking to build a “1,000 yard, $1,000” rifle, this is a chassis for you! Chassis, action, and glass for under $1,000 is very possible using the Oryx. The fit of the Oryx is great, the finish is also well applied and while not the most aesthetically pleasing, the anodized black will protect the chassis for years to come. The feel is a bit off, however. If you’re new to great chassis then this isn’t something I think most people would pick up on, but having been spoiled by the LSS-XL, ESS, and ACC chassis, the Oryx, by comparison, feels like what you would expect for spending less than half the price. The strangeness of the feel is most prevalent when loading. Oryx uses standard ACIS magazines, like the MDT polymer magazines, the same I used in my other MDT Slickguns Reviews. Due to the anodizing, it was a bit of a tight fit getting the magazines in and out of the chassis for the first dozen or so times. This didn’t impact the shooting at all, it just took some iterations to work itself in. The cheek rest is adjustable using a couple of set screws to hold it in place makes for a fairly easy to adjust rest. It held rock steady and served my face well. Length of pull is adjustable, but not out of the box. Spacer kits can be had from MDT for an extra $20 per set of 4 0.25″ spacers. For me, one set would have been enough to adjust the LoP to a perfect fit. I would highly recommend getting a set when you order your chassis. Forend and buttstock feel great, the thumb rest above the grip is typical of MDT and again feels perfect. My only issue was that the rear of the stock was a little short. If you use a large squeeze bag, this wouldn’t be a problem, but I did need to switch from my small bag to my large bag to get the right fit. Everything else was rock solid and ready to go! My other MDT chassis all used Howa 1500 Barreled Actions, but this time around I wanted to try something different, so MDT sent me an Oryx set up for a Tikka T3x. The donor rifle I used for this project was a Tikka T3x CTR in 6.5 Creedmoor. I haven’t even shot this Tikka using the factory stock yet–as soon as it came home with me it first went into a Boyds AT-One thumbhole stock where it lived for a few weeks before the MDT Oryx came in the mail. Once the Oryx came–it was off to the races for me! I’m a fan of Tikka actions, hands down my favorite. Getting to finally try a Tikka in an MDT left me too excited to sleep! … and it was everything I hoped it to be! Tikkas are great rifles, 6.5 Creedmoor is inherently accurate, and I’m a decent shot. But all of that relies on the chassis or stock being able to deliver a steady platform to shoot with–and the Oryx did it. 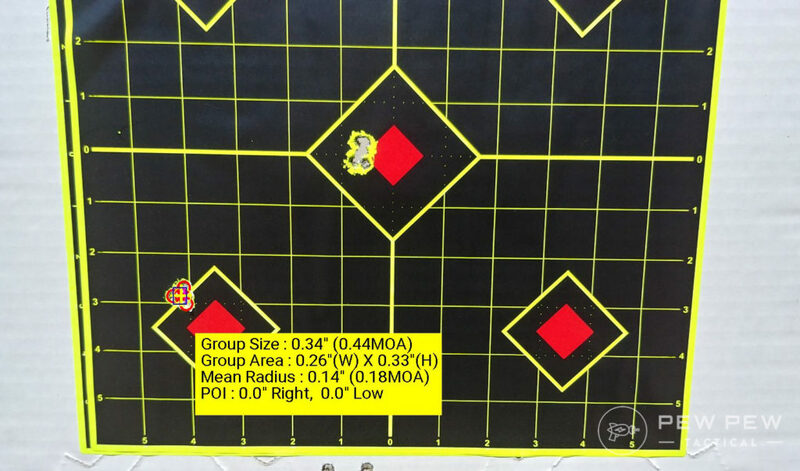 Using Hornady ELD-Match 120gr ammo I shot consistent half-MOA groups, normally in the 0.44 to 0.52 MOA range. 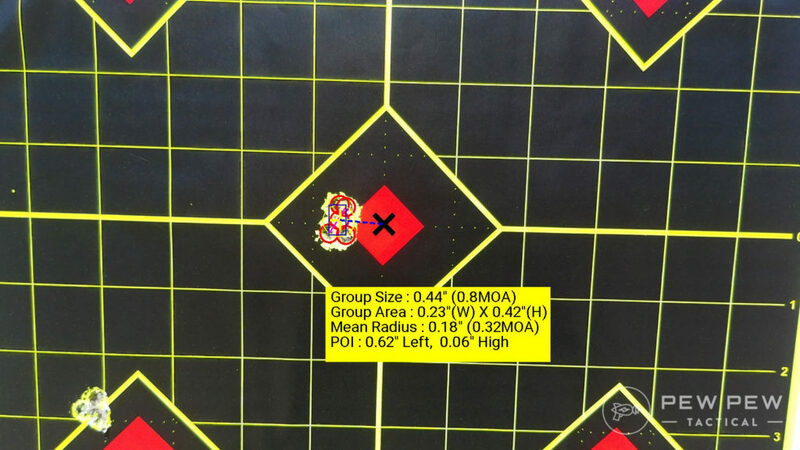 Sig Sauer 140-grain Elite Performance Ammo shot a little worse, but still good at 0.80 MOA. Normally, I don’t have great luck with 120gr ammo in 6.5 Creedmoor, but it seems my Tikka really likes it! While my Oryx was made for the Tikka short-action, the Oryx actually comes in a huge range of options including Howa 1500 long-action, short-action, mini-action, and mini-youth, Remington 700 and 783 short-action, Ruger American short-action, and Savage and Savage Axis short-action. This gives you a really nice set of options for building a rifle of your own or if you’re looking to upgrade a rifle you already have. 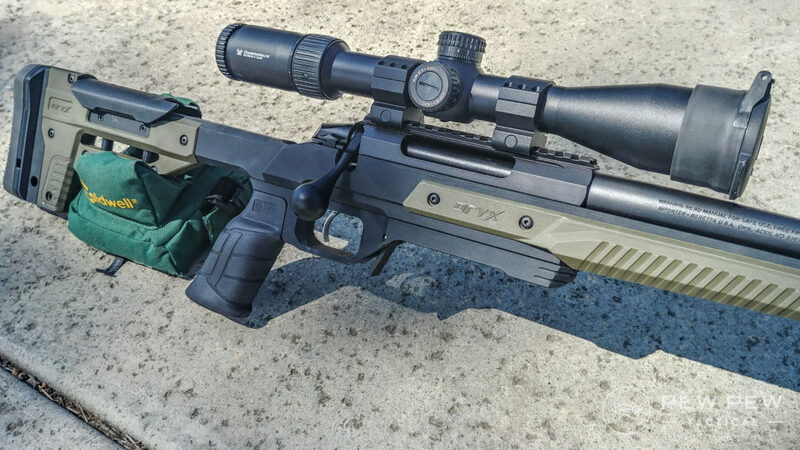 Legacy Sports should be offering a Howa/Oryx pre-built rifle in several calibers soon, but for right now it doesn’t look like they are on the market. Granted, reliability is mostly reliant on a good action–but MDT’s magazines and fitment were perfect. Zero issues installing the action or using it in any form. Oryx, paired with a good action and barrel, shoots wonderfully. For a factory action and barrel shooting factory ammo, I’m very happy with sub-half-MOA–especially since I only tested a few brands and weights of ammo, I hope to tighten these groups even more with some experimentation! The lack of adjustability in the length of pull in the field knocks off a couple of points for me. Granted, using spacers isn’t a problem – but it is something you have to set up ahead of time and limits your ability to adapt. If you set your LOP for summer t-shirts, you’ll find it off when it comes time to shoot in a winter coat and layers. Since I’m in California, this won’t be a huge issue but I’d imagine that a shooter in Minnesota would find this more annoying. Other than the LOP, everything fits how you would expect. The cheek rest is great, the grip is MDT’s awesome grip, and the thumb rests feel right. No one has looked at anodizing and said “Damn, that looks slick”. It’s a highly functional finish and, while the Oryx’s finish is applied very evenly and firmly, it doesn’t exactly make your eyes pop. That said, the chassis does look solid and looks like it is ready to go to work. It’s a no-nonsense chassis that, if it could talk, I’m sure it would be gruff and squinting. 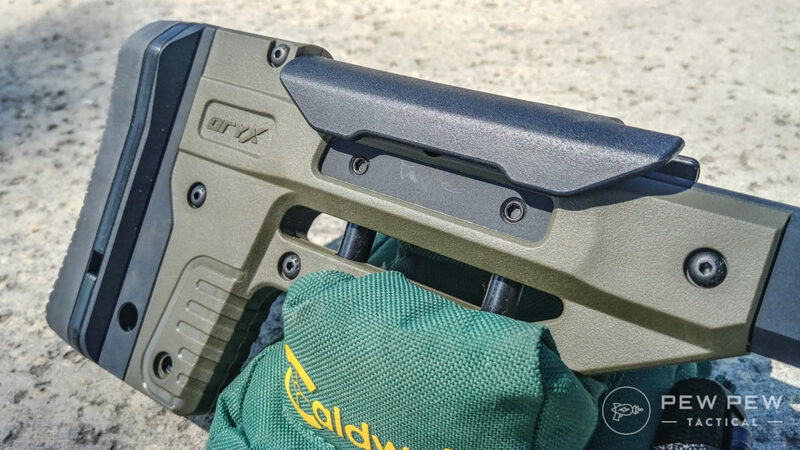 If you really want to change it up, MDT does offer different colored side panels in black, FDE, gray, and OD Green. M-LOK on the bottom of the forend, spacers for the LOP, and adjustable cheek rest. This is honestly all that you need, but it isn’t everything you might want. For all of the bells and whistles you’ll have to get the ESS or ACC chassis–but even at what it is the Oryx offers a lot more than most factory stocks and even many aftermarket stocks and chassis. This is an outstanding value for what you get. You get what you need. A $1,000 chassis feels like it should cost a $1,000, but this $400 chassis doesn’t feel like it should only be $400–to me, it feels like 80% of what a top-of-the-line chassis is. And it absolutely shoots way above the price point! For the intended market, I highly recommend the Oryx. If you’re new, want to try something different, or need a chassis for a training rifle, the Oryx is one that you need to strongly consider! I love seeing budget-minded gear, I love it even more when it actually works! Oryx won’t likely win any national matches, but it very well might be the stepping stone that you need to get there as a shooter. MDT has never failed to impress me and I think with the introduction of the Oryx a lot more people will be able to see just how much fun and how challenging long-range shooting can be! Do you shoot long-range? What set-up are you running? Don’t forget to top off your new rifle with some great optics: Best Long Range Scopes! 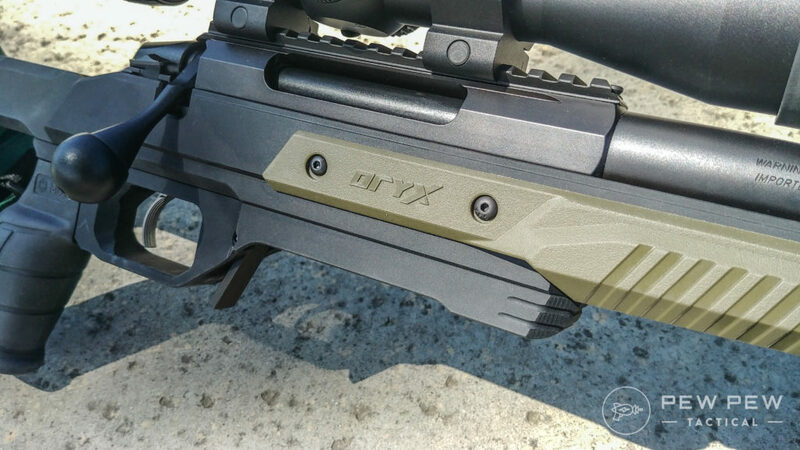 The post [Slickguns Review] MDT Oryx: Budget Precision Chassis appeared first on Pew Pew Tactical.